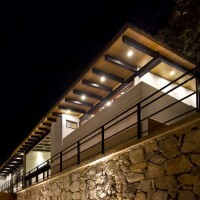 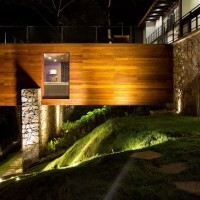 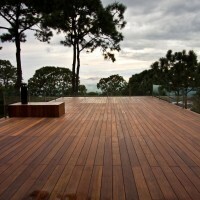 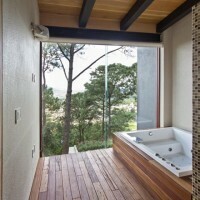 EMA, Espacio Multicultural Arquitectura, designed the Forest House located in Mazamitla, Mexico. 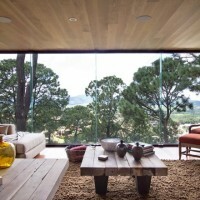 The house is located in the mountains of Mazamitla, 120 kilometres away from Guadalajara (Mexico), in a steeply sloping terrain surrounded by a thick pine forest. 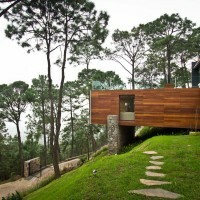 Rocks, soil, rain, pines, fog … the beauty of the landscape and the natural elements in the site are the premise and constant inspiration for the project. 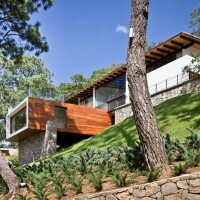 The house comes out from the stones found in the site, which shape the containing walls and the basement of the house. 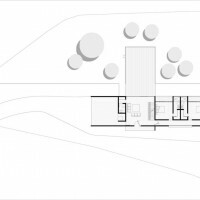 The intersection of two volumes at different heights generates a path in the landscape, which makes the most of the natural slope and emphasizes the panoramic views. 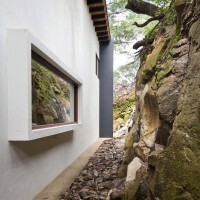 The entrance to the house is sandwiched between the stones of the mountain and a wall with a direct view from inside the house to the same stonewall. 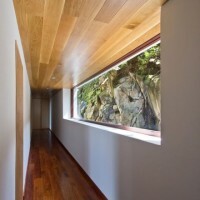 This access corridor hidden and closed between artificial and natural elements provides some drama upon entering the house. 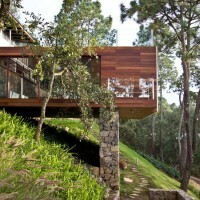 From this corner you enter the closed space generated by the union of the two main volumes. 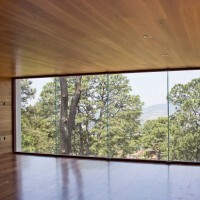 This is a double-height space corresponding to a cube of 7 meters side, which provides wide views to the landscape. 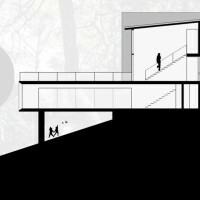 So the contrast is emphasized: the threshold turns into limit and, at the same time, connection between these so dramatically different scenarios. 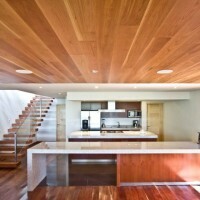 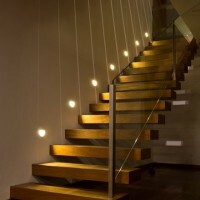 All the other areas of the house are accessible from this double-height space. 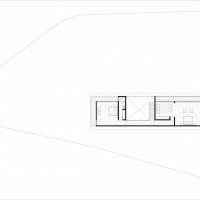 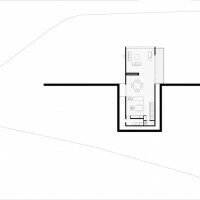 On the same floor, there are three of the five bedrooms connected by a corridor characterized by a large elongated window that frames the stones of the site, thus strengthening the dialogue with the landscape. 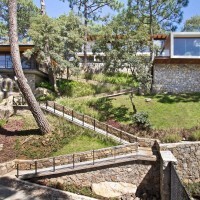 On the upper floor, connected by a bridge-walkway, are the other two rooms: the grandparents’ (homeowners) and their grandchildren’s. 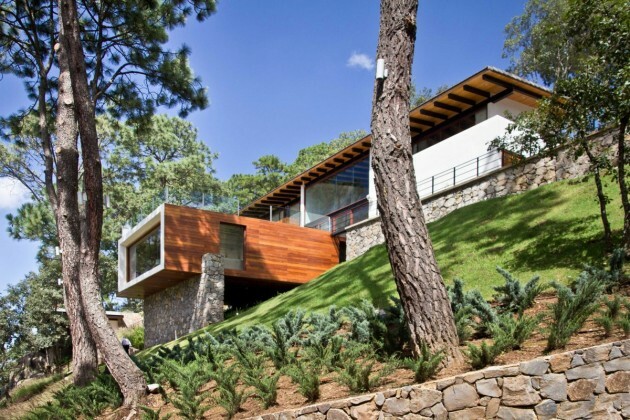 On the lower level, the volume that contains the living area hides below the main entrance and comes out from the ground in a protagonist way meeting the foliage of the pines. 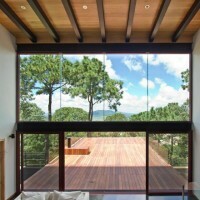 This rectangular wooden “box” reminiscent of the “tree house” frames from above the wooded landscape that surrounds it.